Having been born and raised in Ireland, I can safely say that this little island offers a fantastic amount of breathtaking natural beauty, some of the best bars in the world, as well as magnificent golf courses. In these series of articles, I will be taking you around the Emerald Isle providing you with great golf courses to visit that go a little under the radar in some of the loveliest spots in Ireland. I’ll also be highlighting the best and most authentic Irish bars in these spots, as well as places to stay, eat and how to get there. 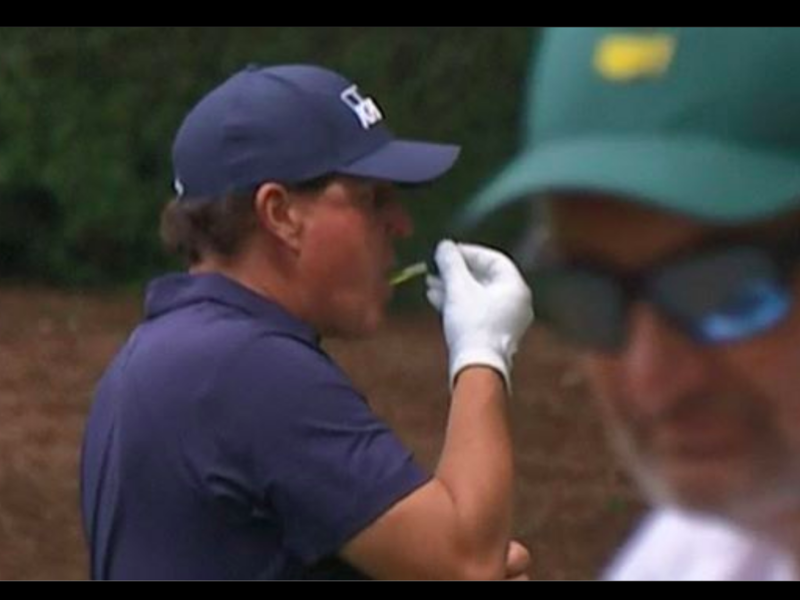 Whether you’re taking a golfing holiday to Ireland in 2019 or are interested in doing so sometime in the future, I’ll make sure to let you in on the best places to spend your time. Beginning with my area on the east coast, Wicklow, which is situated just below Dublin and therefore very easy to reach. 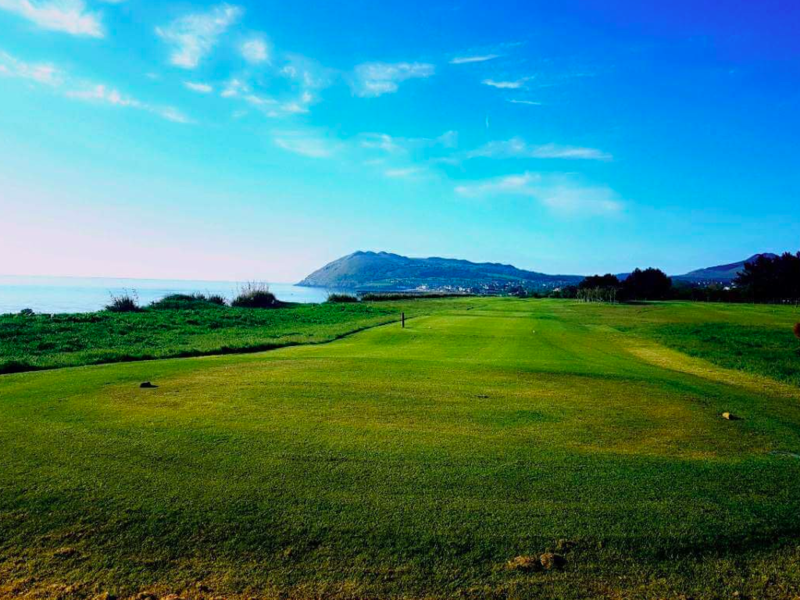 Wicklow offers plenty of stunning views and is home to some beautiful golf courses. After Glen of The Downs shut its doors last year, the cream of those courses now has to be Woodbrook Golf Club, which is an underrated gem. 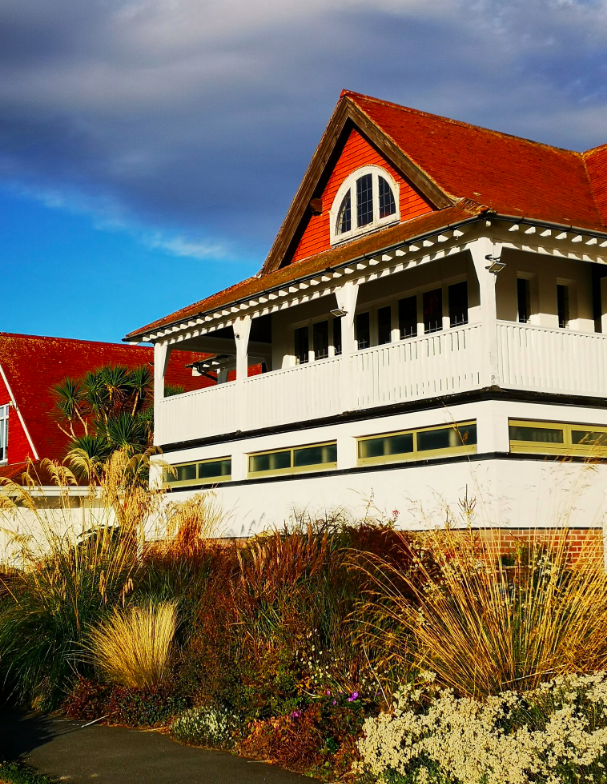 Right off the bat, Woodbrook shows its uniqueness with its clubhouse. The old pavilion-style clubhouse resembles that of a cricket club, which is due to Sir Stanley Cochrane, the club’s founder, and his fondness for that sport. Inside the clubhouse, you will find all your usual facilities in pristine condition, with the walls displaying plenty of famous faces who have played the course in the past. Woodbrook has excellent credentials as a course, hosting the very first revived version of the Irish Open in 1975. 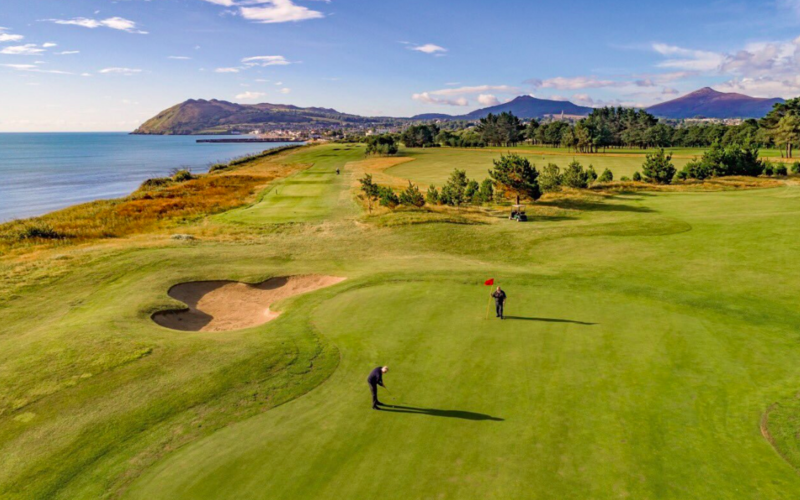 The golf course is situated on the coast and offers stunning views of the Irish Sea on one side and the Dublin and Wicklow mountains on the other. So no matter how you’re playing, your day out will be a treat. 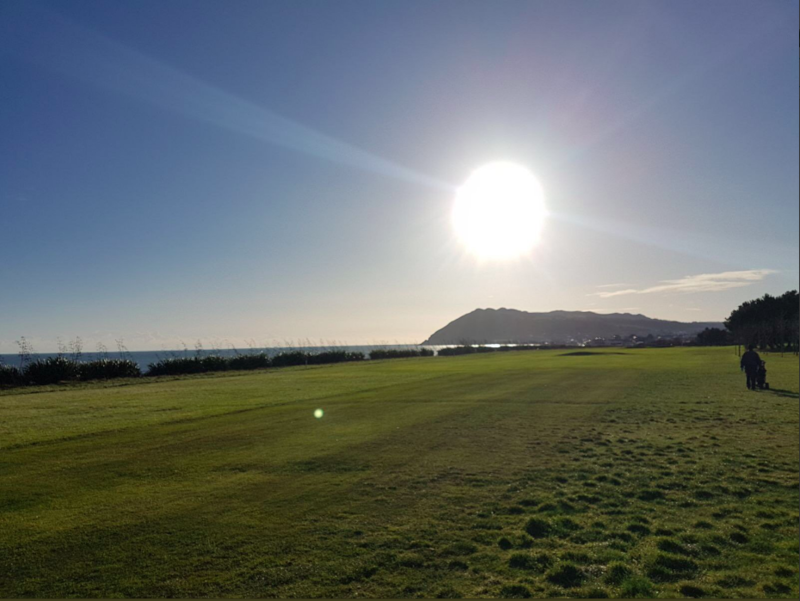 Always in immaculate condition, Woodbrook offers up a stern challenge, and despite being a flat course, when the wind blows this a true links test. Unusually, the course features five par 3s and five par 5s, and you will want to avoid the nasty fairway bunkers if you can. 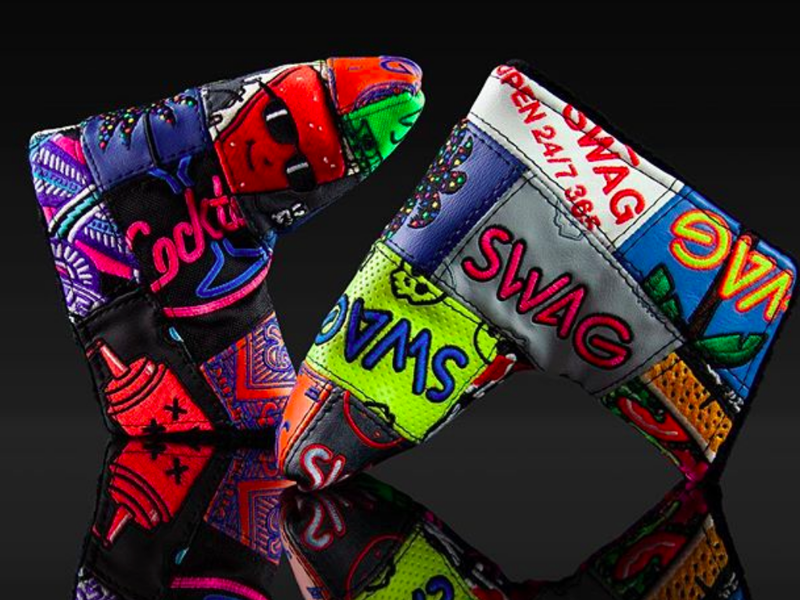 18 holes at Woodbrook GC will set visitors back a little over $50. A five-minute taxi will take you right onto the seafront where you will find The Harbour Bar tucked away. 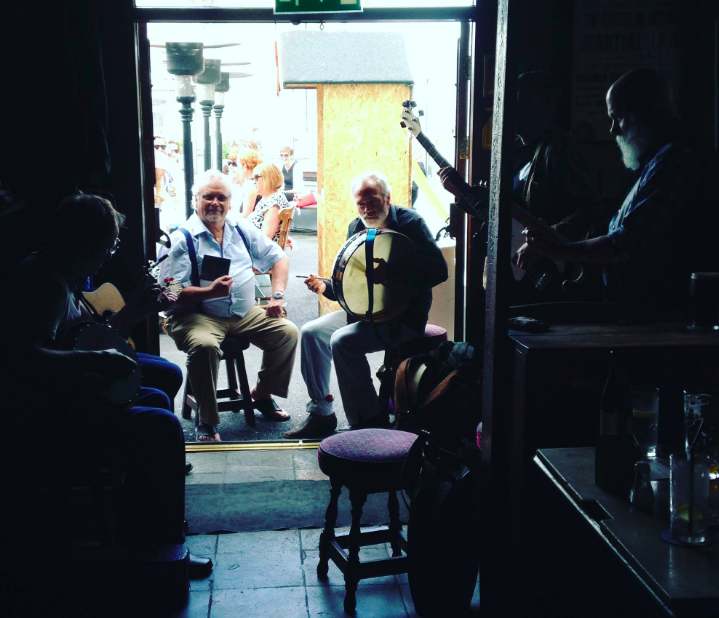 A very traditional Irish bar full of character that describes itself as “scruffy, wild and elegant”. 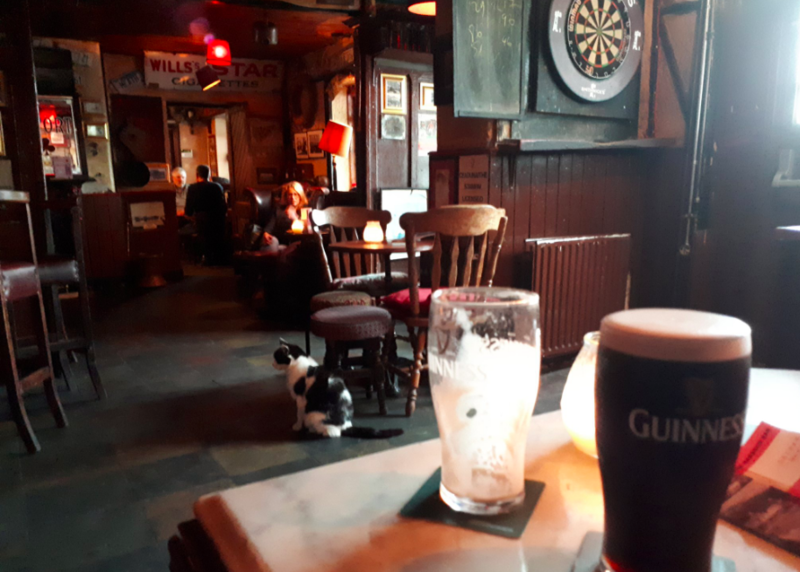 The Harbour Bar was once voted the best bar in the world by Lonely Planet, and even gets mentioned in the iconic novel “Finnegans Wake,” written by Ireland’s very own James Joyce. The music and good times rarely stop in this place, and although most nights you will hear traditional music played in the bar, there are also plenty of occasions where modern artists and comedy acts take to the stage in the lounge. As far as drinks go, you’re never going to go wrong with a pint of the black stuff anywhere you visit in Ireland. However, if you want to sample a local craft beer, try a pint of Wicklow Wolf, the deep and rich tasting lager that is brewed just up the road. 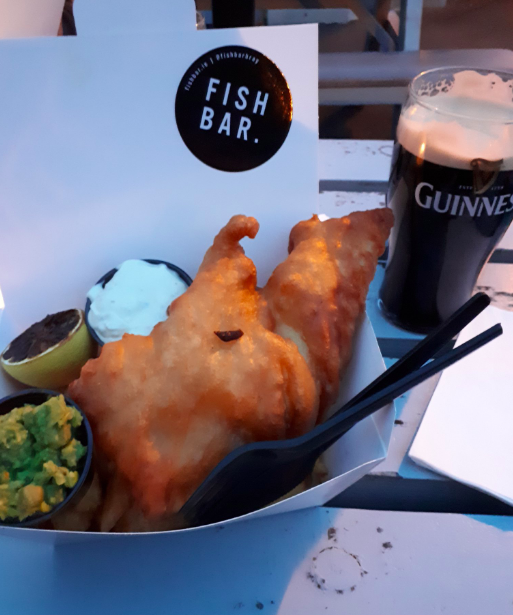 Soak up the booze by ordering the Fish And Chips for about $15 from the Fish Bar located in the same complex that offers up a variety of fishy goodness. 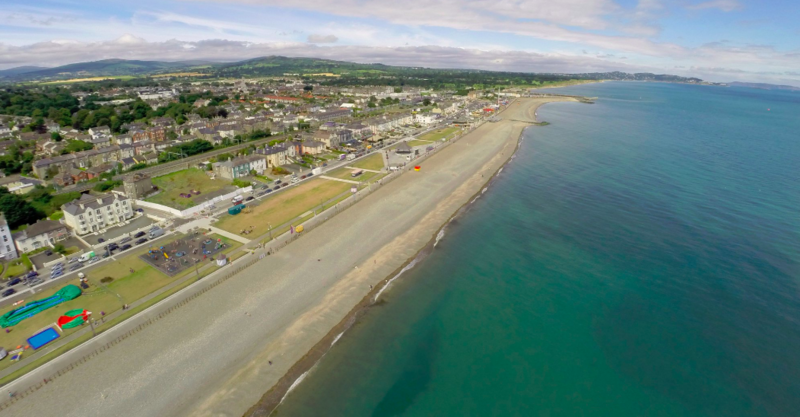 If you decide to stay in the town, then the seafront of Bray is undoubtedly the most attractive area to spend your time. The Martello is a nice little hotel smack back in the middle of the seafront, and a double room for the night costs around $85. For slightly extra, you can stay in the Strand Hotel just a few doors down, the building which was the childhood home of Irish writer Oscar Wilde. A half an hour away from Dublin on the train, Bray is also a great spot to stay to explore the capital at a fraction of the price. There are a plethora of things to see and do in Dublin itself. For general sports fans, my recommendation is to try and catch a game of hurling, Ireland’s national sport, in the 80,000 seater stadium Croke Park. From the centre of Dublin, this area of Wicklow is easily accessible. It will take about 30 minutes to get here in a car, or you can take the train from the capital right into the heart of Bray. On your ride, you’ll get to admire Dublin bay, and you’ll also get a sneak peek of Woodbrook GC just before your stop.